The era of electronic gadgets is upon us and we find our phones and tablets requiring constant charging during our daily activities. Nevertheless, there are times when we are not in close proximity to a power outlet. Therefore, solar chargers come in handy. They are easy and efficient bearing in mind that they use the power of the sun to gain the energy used to charge our gadgets. 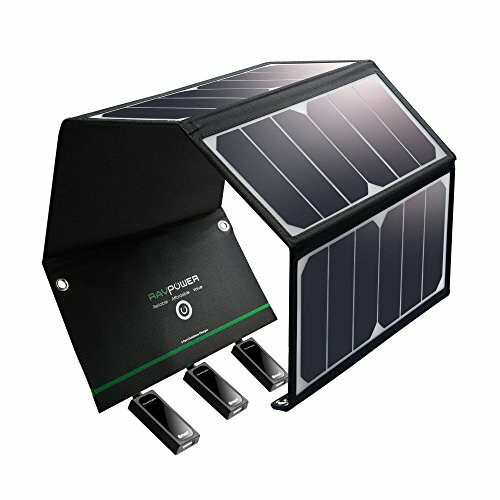 However, in order to have a solar charger that is efficient in its functions, there are various factors to look at. 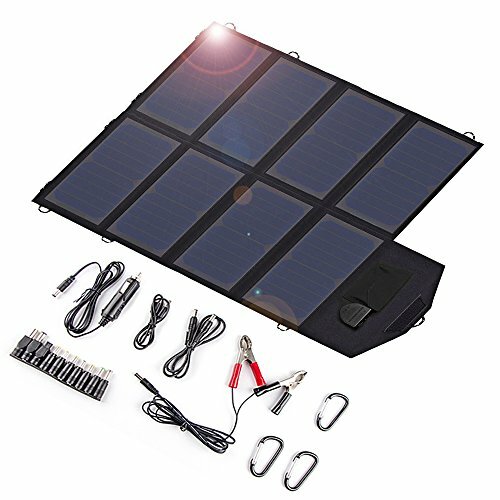 For starters, you must have the right kind of solar panels with the right wattage, optimal storage of the batteries, proper portability, a high level of durability, and efficient USB connections. 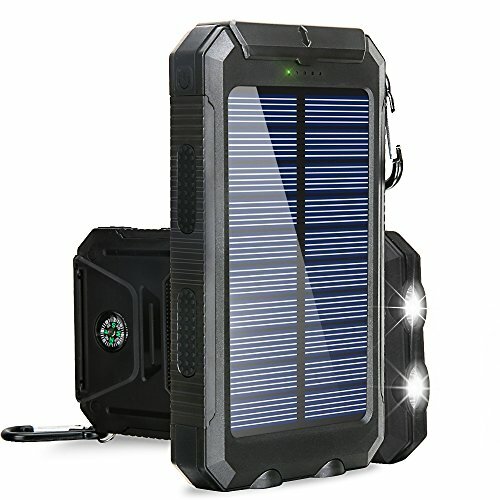 Generally, we judge the efficiency of the solar chargers by their value and their performance. 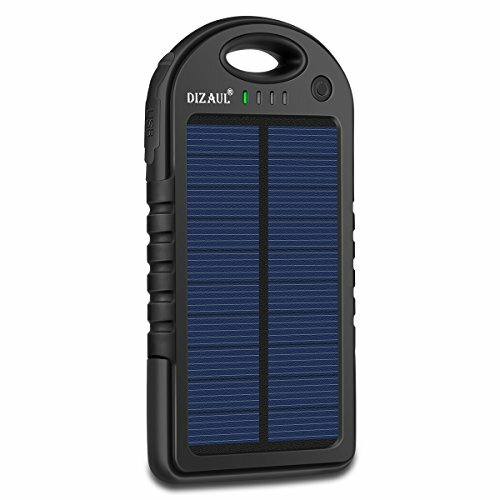 Consequently, this article seeks to highlight the best of solar chargers to use. 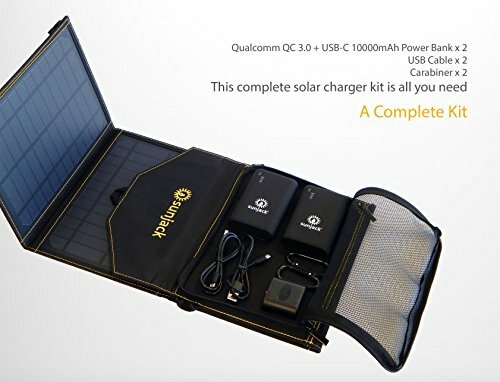 Here are the 11 best solar chargers of 2019 you should look out for. Let’s take a quick look at them. It has ultra huge capacity of 25,000mah & Water-Proof function that can be used more conveniently & solar charging panel that can absorb any light and then be transferred into electricity. The three Outputs that can be shared with your friends as well as two Inputs that can be charged by either Iphone Port or Android Port. A specific hook is used for hanging on the backpack so it will be convenient for those who are going for outdoor activities with backpack. This is a perfect product for Traveling, Camping, BBQ and Outdoor activities. You need not to worry about your cellphone going out of power. Multiple Useful Flashlights Of Battery Pack: LED light can be used for illumination and SOS light. Color lights with fast frequency can be used for emergency lights also. 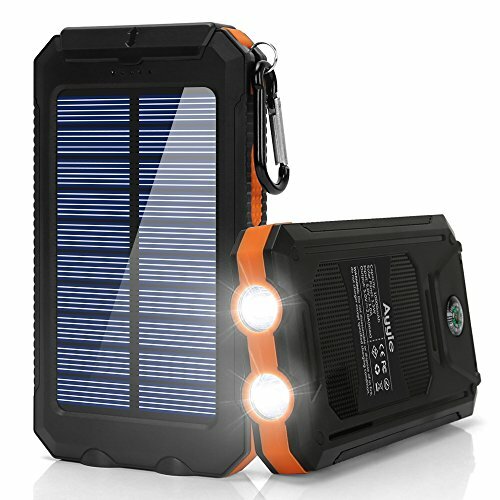 Ayyie portable solar charger is water-resistant, shock-resistant and dust proof solar phone charger, featured with compass and 2LED flashlight. It is awesome for outside activities such as camping, hiking and other emergency use. Built with Dual USB : 5V/1A, 5V/2.1A outputs are available for most digital equipment. It has dual USB ports so you can charge two devices simultaneously. An extra Compass whislter is included for emergency purpose. It has five pilot lamps indicate the status of solar power bank timely. When charging the power bank by the solar panel, the green indicator will on, otherwise the blue indicator when USB charging. Perfect for outside activity as camping travel hiking constructions and many other emergency use. Let you charger anywhere in the world. This charger is home to dual USB ports thus can simultaneously charge two gadgets. 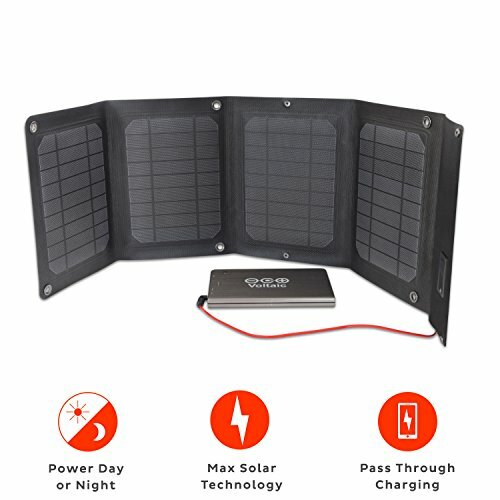 Anker Company has a specialized technology known as power IQ and sun power panels that ensures the fastest conversion and charge of about 2.1 amps/15 watts. This translates to about 2 hours to charge a tablet and a smartphone simultaneously. The power IQ also adjusts the amperage of power supplied thus ensuring safety of the devices. The solar panels are highly sensitive even under low light conditions such as shade where they still sense sunlight and provide about 8 watts. It has an over-charge system that ensures safety of the device. It offers outdoor durability owing to its panels which are sewn into polyester canvas that keeps it dust proof and shock proof. However, one should keep it away from rain or water since it is not entirely waterproof. It is also super light, of compact size and easily portable. It is regarded as one of the most powerful chargers. This is because it has 4 very efficient monocrystalline panels coupled up with two USB ports which translate to 2 amps per port. Moreover, it has two batteries of 8000mAh which translates to a power of 16000mAh rivaling the Jestun in that category. It also has a small in-built IC chip that ensures the charger is able to identify the gadget and optimize on the current. In addition, this power means that it can charge up to 8 gadgets before recharge. In-built is an over-charge system that protects the device. Unlike most of the powerful power chargers that take about 2 hours to charge a gadget, the SunJack takes less than 90 minutes to do so to 100%. It has an advantage over the Jetsun and other chargers since it takes roughly 5 hours to charge fully. It exhibits similar outdoor characteristics since it is dustproof and shock proof and has been used in military expeditions. 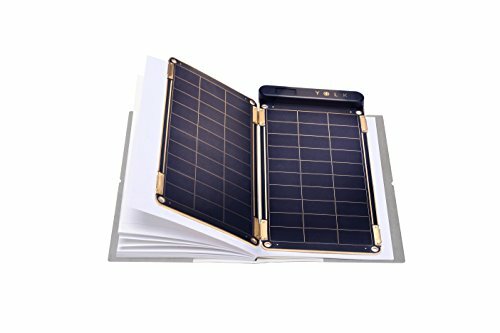 Its unique design and weight of 4 ounces makes it the world’s lightest and thinnest solar charger in the world. It is so thin and compact that it can fit between the pages of a notebook. Each of its panels’ boast of 2.5W and aids in charging any device. Its size means that it is very portable. It has one port unlike most powerful chargers. The Yolk has an in-built LCD screen to display the flow of current being delivered. It rivals the Wildtek in being waterproof with a waterproof rating of IP64. Again, there is an automatic reset for when weather conditions change from cloudy to sunny or vice versa. Also, the charger has strong magnets that are attached to the panels and ensure that there is extra power. 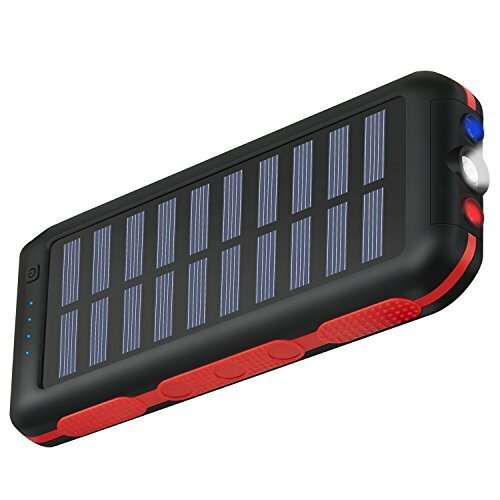 It has high amperage with a 10,000mAh polymer battery and is charged by 3 polycrystalline solar panels of 1.2W each. Like most powerful chargers, it has two USB ports. However, these ports differ in surge of power with one being 5V/2A, for small gadgets and the other with a higher surge of power at 18V/2A for charging slightly more powerful gadgets like laptops. Also, it possesses an in-built LED light, which means it can be used as a flashlight. Its exterior is made of leather sheath and ABS to prevent shocks and drops when exposed to rough conditions. It is also water resistant with inclusion of rubber seals on its ports. The X-Dragon is slim and thus, very portable. It boasts of the one of the highest amperage with 19,800mAh worth of a battery. The power surge in this charger is better than that of the SunJack since it can fully charge a smartphone for about an hour. In addition, the Voltaic Charger can charge a laptop fully. The power of this charger is so great that once full, it can charge a laptop, two iPads and seven smart phones all to 100%. As such, it is quite bulky as a unit but still portable. It has 73W solar cells responsible for conversion, it is foldable, and waterproof. It has two USB ports, which make it possible to charge two devices simultaneously. It also waterproof and shock proof thus durable and suitable for rough conditions. Moreover, it is easily portable. It has an in-built LED light that ensures it can function as a flashlight and shows the level of charge available during charging and when the charge is getting depleted. It is ideal for phone charging and can charge a phone for two hours to 100%. 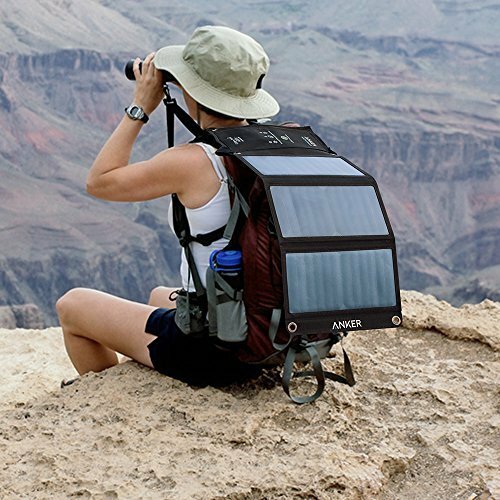 BESWILL solar charger has built in 10000MAH battery, the solar changer with solar energy technology & environmentally friendly, so that it can recharge under the sun. Has Dual USB Ports:5V/1A&5V/2.1A outputs allow you to charge two devices at the same time, work well for your iPhone,tablets and other electronics devices. The solar phone charger not only equipped with a hanger,but also a compass.The hanger is good for hanging on your bag when you in your trip. With a compass of the power bank, there is no need to worry about missing our direction when you’re outside. It has five pilot lamps indicate the status of power bank timely. When charging the power bank by the solar panel, the green indicator will on, otherwise the blue indicator when USB charging. The kit is home to two products working simultaneously. 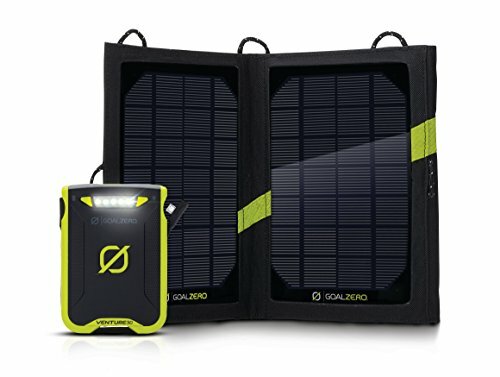 These are the Nomad 7 solar panel and the Venture 30 battery. The battery has amperage of 7800mAh with the addition of 7W from the 7 panels. Furthermore, the batteries are rechargeable, which enables travelers to have back up batteries fully charged. The charger is one of the most durable chargers owing to the fact that it is waterproof and rugged. Unlike the other waterproof chargers, the Goal Zero does not need rubber plugs at its charging points. It has dual USB ports high speeds of 4.8A for fast charging. As a result, it can charge smartphones for just under an hour. It also boasts of an in-built LED light to ensure that there is provision of light in the form of a flashlight. The RAVPower 24W solar panel is a solar powered portable charger that utilizes the sun’s rays to charge your smartphones and tablets. The 24W solar charging technology increases the efficiency of charging by up to 21.5% – 23.5%. You can power your portable devices from sunrise to sundown whenever you are outside. All three USB ports are equipped with iSmart technology, which automatically detects and delivers the optimal charging current for connected devices; up to 2.4A per port or 4.8A overall when used under direct sunlight. Smart IC frequency technology detects and evenly distributes output current to all three USB ports ensuring every device is evenly charged. Next articleWhat are the Sources of Microplastics and its Effect on Humans and the Environment?